John and I have been thinking of putting up a small farm where we can grow our own fruits and vegetables and eventually as our retirement place when we reach our senior years. I have always believed that life has its way of answering the desires of your heart and bringing people together. Take for example the #Mendiolables farm stay at Costales Nature Farms. Our main goal was to go at Majayjay Falls so I asked friends if they know a good place where we can stay for the night. Upon the recommendation of Joy Felizardo of Gastronomy by Joy, we found ourselves heading at this wonderful organic farm where we learned about organic farming, ate healthy and delectable foods and met amazing people! To cut the long story short, nature has answered our future project. Enjoy watching our informative, fun, relaxing and busog much stay at Costales Nature Farms via this video. But don't just take my words, you've got to experience the beauty and bounty of Costales Nature Farms. Costales Nature Farms, nestled at the foothills of mystical Mt. Banahaw in Majayjay Laguna, is the premiere agri-tourism destination in the Philippines. Their farm tour packages cater to anyone who wants to relax and experience farm life for a day or two. 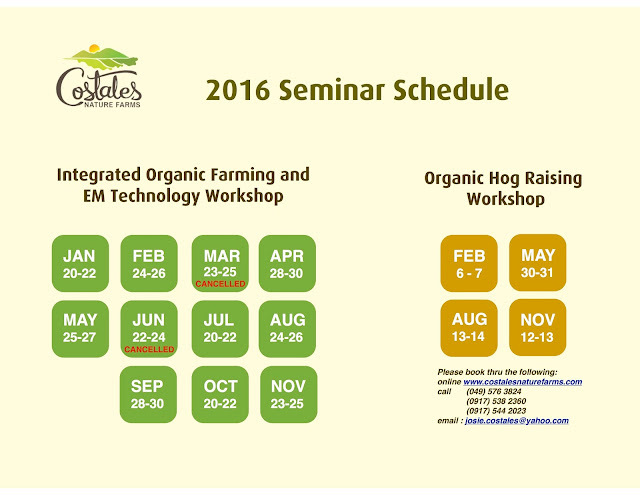 Learn the basics of integrated organic farming and enjoy the amenities of the farm. Established in 2005, Costales Nature Farms are now one of the major single producer of organic high value vegetables and herbs for the Bistro Group, Moment Group, Solaire Resort & Casino, Cibo, Dizon Organics, Dalcielo, Shangri-La Hotel among others. Their farm facility also produce organic chicken, eggs and pork available at Healthy Options, Shopwise and Rustan's for those who wish to lead a healthier lifestyle. Processed organic pork meat products was also recently launched and will soon be available in major supermarkets and grocery stores nationwide. As an accredited private extension service provider for the Agriculture Training Institute (ATI) of the Department of Agriculture (DA), Department of Agrarian Reform (DAR), Department of Tourism (DOT), they provide workshops for those who wish to learn about sustainable organic farming and farm tourism. Costales Nature Farms wish to inspire more people to lead a healthy and sustainable future. 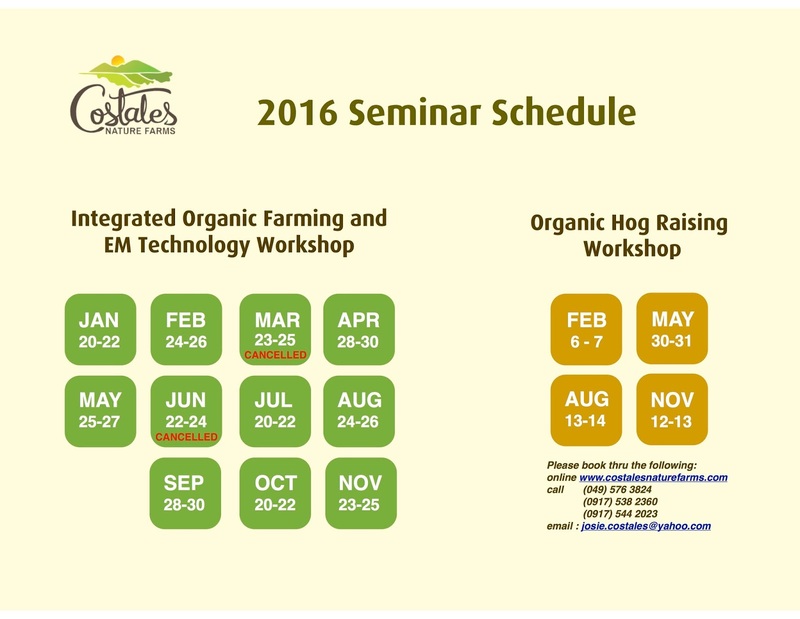 Learn all about integrated organic farming techniques, EM technology and organic hog production through Costales Nature Farm comprehensive seminars and workshops. When we visited Majayjay Falls, we only stay for few hours since we don't have any room accommodation and ayaw ko naman magtent sa Falls. hehehe! Thanks for sharing this farm. I can't believe there's a place like that so near our home! My family and I love to garden and we're making it work even after moving to a condo. I'd love to learn more about organic farming so I'm taking note of this! Nature is love! Such an interesting place to visit. Thanks for sharing! We grew up in a farm, my father is a farmer. Before, we would help during rice harvests, or help take out weeds on the eggplant/banana farm. I miss those days. Sounds very relaxing to stay there. Maybe when we get our car completely running, we can visit with the kids. I have been meaning to take my boys here. It must have been nice to tour the place with the owners as your guide. I would love to visit the Costales Nature Farms, too! Since I'm interested in urban farming, I would love to learn how to grow our own produce. A perfect place for those seeking relaxation away from the busy city life! 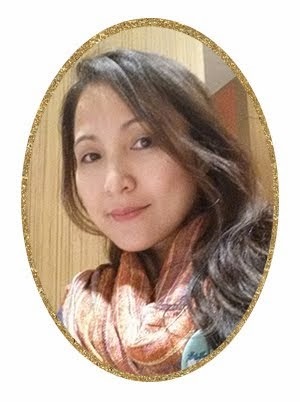 How far is it from Manila, and how much does an overnight stay here cost? We had once a speaker in Ateneo (GSB) who are affiliated with Costales. I think he's the owner. His story is amazing and inspiring. I'd love to visit the farm soon especially when I have a Dad who loves organic farming. I super duper lack a green thumb! I have always wanted tp grow my own little garden.